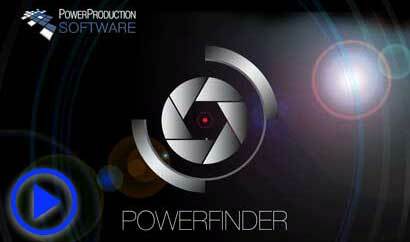 Plan your shots with precise framing previews of any professional camera/lens combination with the PowerFinder. 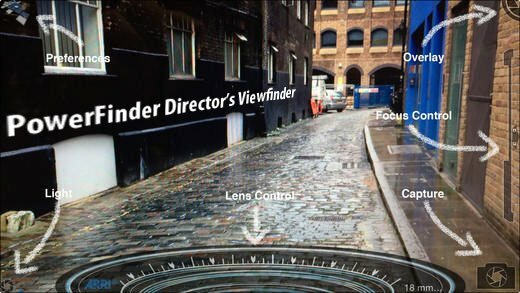 It’s the cool and most complete Director’s Viewfinder app available for your iPhone & iPad. So much more than a device with lightweight optics that allows a director to frame a shot. More than a device that uses the correct focal length and aspect ratio. More than a device that saves the director or Cinematographer/DP the hassle of moving the whole camera rig into place. Rather, the PowerFinder mobile app does all that and more. The PowerFinder enables picking any camera sensor, any lens, any aspect, and any format to find the perfect shot anytime, anywhere and save the data. Use the slick heads-up display to check out all the stats for your shot. 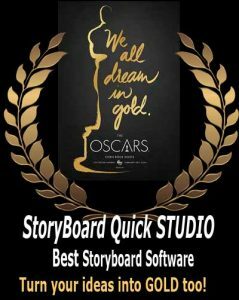 From focal length, ISO, speed, dutch angle, compass heading, GPS, horizon, aspect ratio, sensor, third lines, color & lightness histograms and more. Finally, save the shot with the data embedded or visible in the frame into a custom album for your show. First, choose any sensor size, no matter what camera you’re using. Choose your favorite prime lens and preview it instantly. Therefore, you’ll know precisely where to put your camera for every setup. In addition to finding your shots, know which lens to use. Choose the exact specifications rather than carrying extra equipment. Same lens as from your favorite primes including Arri, Canon, Cooke, Fuji, Panavision, Red, Rokinon, Schneider, Vantage, Zeiss and more. Also, modern and legacy prime lenses are included. Including Anamorphic and custom multipliers. 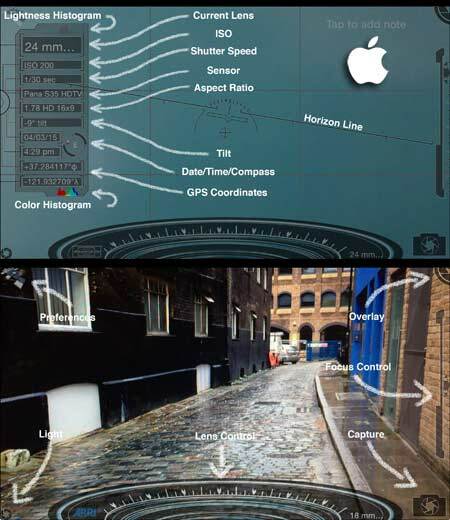 As a result, it’s truly the pro’s choice for a director’s viewfinder in your pocket. Easy to save stills and build a library of reference images. Get the PowerFinder mobile app today!